Kousuke has a boring high school life, but he sits next to his crush--the really popular, cute Tsukahara Meguru, who has a cool, stoic personality. One day, his parents announce that they're moving, but that he'll still be able to attend the same school. The new apartment building has a lovely river and friendly neighbors... and it is next door to where Tsukahara lives! Outside of school, she seems to have a completely different personality, friendly and a little quirky. She makes him promise not to tell the others at school how she acts at home, but why does she put on such an act for her classmates? Kagurazaka Renya never had any luck. He could never win the lottery. He was never the "lucky winner." One day, he meets a girl that insists that he pull from a raffle. Lo and behold, he pulls the Grand Prize, the privilege (?) of becoming a god. He must now face the trials and responsibilities of being a god. Will he make it? Kirishima Ranji is a gangster who highly respects his leader. One day, that leader is shot to death in a drive-by shooting, and his body shields Kirishima from sharing the same fate. Sick with grief and guilt, Kirishima goes on a killing rampage for revenge! During this rampage, his car goes off a cliff, and the next thing he knows, he's washed up somewhere strange. He appears to still be in Japan, but he has somehow transported through time to an island of exile in the late 1700's. Kirishima is eager to get back to his own time and his revenge, but in the meantime, he ends up violently involved with protecting a young girl and her family from the local thugs. This manga tells stories from the viewpoints of racehorses. 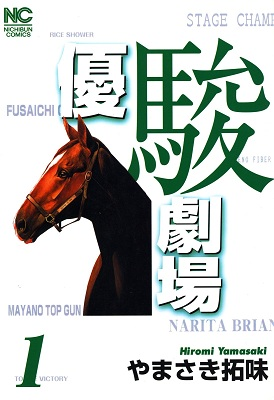 The first story is of Mayano Top Gun, a horse whose biggest wins were from 1995-1997. Mayano Top Gun always had sad eyes, whether winning or losing a race, since losing a race was sad both for the horse and its rivals. 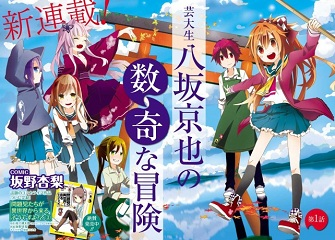 Higashi no Kurume to Tonari no Meguru was a very old style of art, but it seems like a cute story so far. I am curious why the girl is so different at school, since she seems so likeable at home. 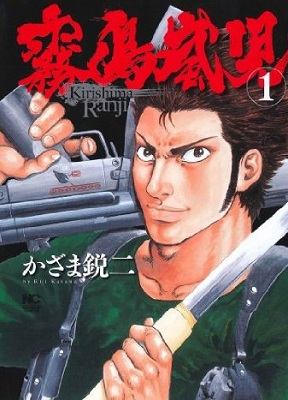 Kirishima Ranji was a very fast-paced and exciting story, with lots of action. The story starts out with a bang, and things keep moving forward in the story really quickly. Yuushun Gekijou is probably mostly interesting for people who really like racehorses, and would like to read fictionalized stories from their perspective. Geidaisei Yasaka Kyouya no Suki na Bouken - If you like supernatural manga set in a school setting with a mix of comedy, then you'd probably like this manga. 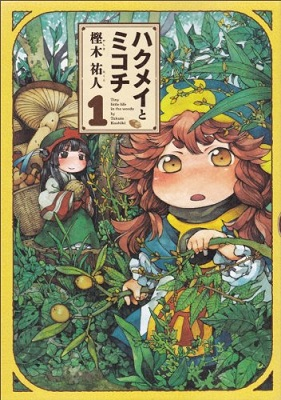 Hakumei to Mikochi - On the other hand, if you're more in the mood for fantasy/slice of life, then this would be more your cup of tea. 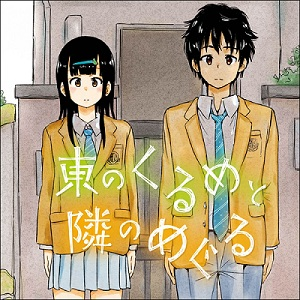 Higashi no Kurume to Tonari no Meguru - Although this type of manga where someone acts one way at school and another way of at home (like KareKano and many other manga) with a mix of school life and possible romance, this may be another interesting take. I'm probably most interested in this manga. 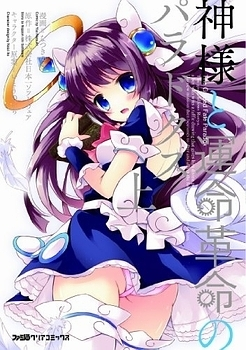 Kami-sama to Unmei Kakumei no Paradox - If you're interested in seeing how a regular person deals with somehow becoming a god, this may pique your interest, at a total of only 2 volumes. Kirishima Renji - If you're in the mood for action, and wonder what it'd be like if a thug was dropped into a time in the past, this may end up being an interesting read. Although time travel isn't a new storyline in manga, having a delinquent be the one that travels in the past seems a bit different. Yuushun Gekijou - If you're in the mood for more realism and are fascinated by the world of horse racing, then you should check this manga out instead. This is short with just 3 volumes. If you haven't done so already, check out the scanlations of the mangas from previous shout outs which have been recently scanlated: sci-fi battle manga Uncanny Brains (MH link), and sci-fi action manga Pact (MH link). Copyright (c) 2007-2017 by MangaHelpers. All rights reserved. All times are GMT . The time now is 06:38.